Seven ways to get your website noticed - WITHOUT using the Internet...! 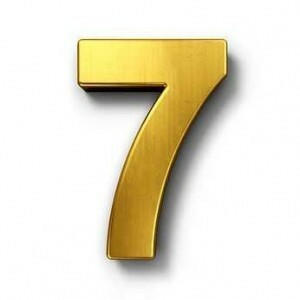 Seven ways to get your website noticed – WITHOUT using the Internet…! The people who visit your website are real and live in the real world. In fact, most of their daily life is spent in the “real world”, not the virtual one. So, if you spend most of your efforts on real world promotion of your website – rather than virtual methods, such as search engine optimisation or link generation – you stand a significant chance of getting plenty of visitors. Indeed, some of the biggest names on the web spend most of their marketing dollars on “real world” marketing. Some don’t even bother with SEO, yet still do very nicely, thank you very much. So, here are seven ways in which you can get more visitors to your website without having to go near the Internet itself. Many businesses put their domain name on their company letterhead or on the packaging of their products. But simply having it visible and making people want to visit the site are different things. Instead of just printing your website address on your literature, give people a reason to visit. Invite them to download a free report, or accompany the domain name with a discount code so people who have just bought something have an incentive to get back online and buy some more. There are several ways in which you can use printed company literature to attract more visitors to your website – but simply printing your domain name is not enough. People like getting postcards – especially if they are handwritten. Send your clients a postcard from your trip away, include a web page address in your message and you’ll get more visitors. Write postcards from events you have attended, from conferences and from your holidays. Be inventive…! One of the reasons why some businesses are more successful than others is because they have a real world social network, not a virtual one. The owner or the directors simply know lots of people and meet up with them regularly. In turn that leads to more word-of-mouth recommendations because the well-known people are always “front of mind”. Get out and about more and hand out business cards with your website “special offer” on them. That could be a discount code or a landing page for a free report. It doesn’t really matter, but the more people you meet, the more people there are who can find out about your website. If you simply glad-hand a dozen people a week it is going to take you ages to generate lots and lots of traffic; you will get more visitors and more recommendations, but there is nothing to beat speaking at live events for being able to promote your website to a large number of people all in one go. Ask to speak at Chambers of Commerce, business networking groups and other organisations who are always on the lookout for speakers. Drop your website address into your talk and you’ll get some interested visitors. Get articles published in your local newspaper or your trade periodicals. Offer to write a column for them…! Don’t ask for payment, say you’ll provide the content free of charge, just so long as they give your website a plug…! If your website appears in your local newspaper once a week in return for an article about local business then you’ll be a regular “front of mind” company amongst the thousands of people in your area. Make sure you are interviewed by journalists for all kinds of media – local radio, regional TV, magazines, national newspapers and so on. The more interviews you do, the better – your name, company name and website address will become a regular part of the media landscape, meaning people are always aware of you. Think: “they should feel as though they have seen me everywhere”. Sure, you may well have a newsletter that is emailed out – but why not produce a printed version too? That can be used in exhibitions, handed out at your local rail station, gosh – you could even leave it in your doctor’s surgery waiting room…! We all get email newsletters, but printed ones are a rarity these days. So, you will stand out…! Just make sure each newsletter has something in it which gives people a reason to visit your website. So, there you have it, seven straightforward ways in which you can get traffic to your website, without ever having to go near the web itself.